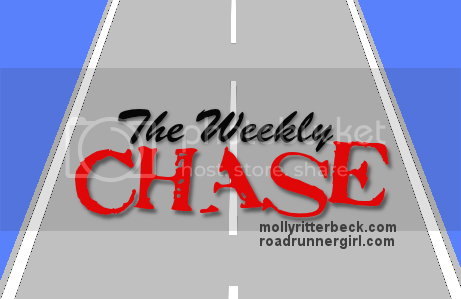 Road Runner Girl: The Weekly Chase #55! Hey everyone! We are off of school today due to the Martin Luther King Holiday! I'm enjoying spending the day with my boys! I feel like I haven't seen them much since I got home from Disney. This weekend was busy! Friday night I had a meeting with my Sole2Soul Sisters about our upcoming race, the Sole2Soul Scoot Goes Retro 5K! This will be our 4th year putting on this race and I'm so excited! If you are in the Mobile, AL area I'd love for you to run this race! We had a blast last year with our Sweetheart theme! This year we are doing a retro theme! It's going to be fun! 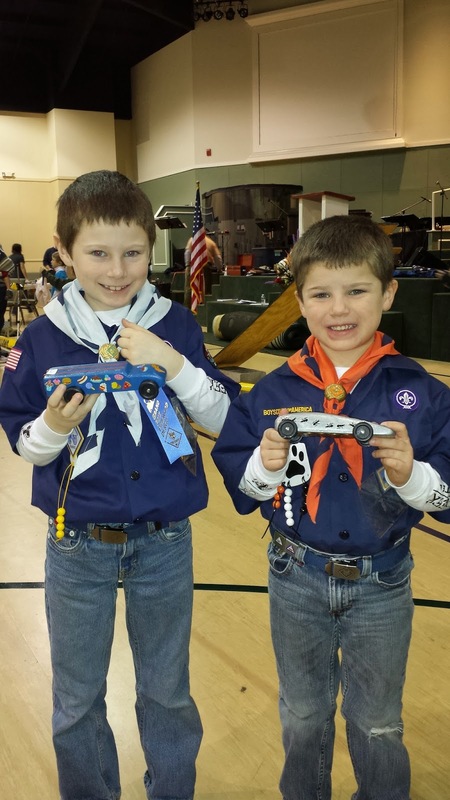 Saturday the boys had their Pinewood Derby Car Race with the Cub Scouts! Both of their cars did really well. They didn't win but came close! Hayden won 2nd place for Best Decals....his car was a Food Truck. Sawyer's car was a Pest Control Car! They had fun racing! Saturday afternoon I headed to my best friend Rhonda's house for a girls night out slumber party to celebrate her birthday! We had a blast playing games, dancing, and just being silly! Sunday was just a lazy day at Rhonda's and then at home! I did manage to run 4 miles Sunday afternoon...my first run since the 19.3 miles I ran in Disney last weekend! It felt great to get back out there! Now it's time for The Weekly Chase! I'm ready to tell you all about my goals for this week! I hope you will link up your own goals with me too! Goal #1: Run at least twice. 50% success! I only ran once....and that was yesterday. I felt ready to run by Wednesday but thought my legs needed some extra recovery time from Disney. Goal #2: Roll and stretch daily; ice after each run. No. :-( I didn't do well with this at all this week. Goal #3: Unpack from Disney. Yes! Although I was sad putting away all my Disney things! I miss it already! Goal #1: Run at least 2-3 times. I'm hoping to get a few short runs in and a long run this weekend. The Rock 'n' Roll New Orleans Half Marathon is in two weeks! I know I won't be super trained for this one due to Disney but I'm going to run it for fun! Goal #2: Roll and stretch daily; ice after each run. I've got to get back to this to help avoid injury! Goal #3: Write more Disney posts this week. It's going to take me several posts to tell you all about Disney Marathon weekend! I'd like to get a lot of them written this week. Goal#4: Cook more meals than we eat out this week. We eat out way more than I'd like due to the fact that I hate to cook. I want to start eating at home more. Plus we have a whole freezer full of deer meat that I need to use! Any recipes you can share with me? Please? That's it for this week! Hopefully it will be a successful week for me! QOTD: What are your goals this week? What are some easy recipes you can share with me? Remember I am a horrible cook so it must be easy!